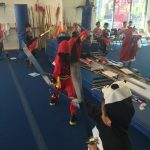 Shaolin Temple Martial Arts Academy is pride to offers classes and training in Wushu, Kung Fu, Tai Chi/Qi Gongs, 18 Types of Chinese Weapons, self-defense, Lion Dance, and Dragon Dances and many more. The programs at the Shaolin Temple Martial Arts Academy is set on a schedules basis. All students are required to pass tests and examinations in order to complete our program requirements. 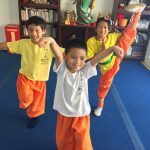 To learn more about the program offered at the Shaolin Temple Martial Arts Academy, please click on the program menu on and nevigate to the program that interest you.